All types of appliances removed. 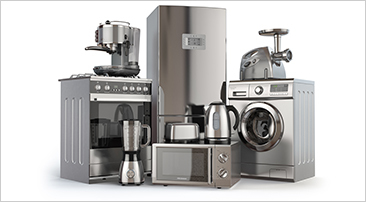 Fridges, stoves, washers, dryers, dishwashers, freezers, etc. In house removal or outside pickup available. All items are properly recycled. Sit back, relax, and let our team remove that heavy, bulky old appliance in no time. BEE JUNK FREE offers Appliance Removal and other Junk Removal Services to clients across Peterborough, Lindsay, Port Hope, Cobourg, Bowmanville, Courtice, New Castle, Kawartha Lakes, Campbellford, Whitby and Oshawa, ON.